MUET has a Central Library & Online Information Center which contains more than 154000 books related to Engineering Science and Technology. Access to 29 E-databases for electronics journals and electronic books are available on-line within the university campus and outside the campus under Digital Library Program; a Project of Higher Education Commission, most of these resources are available full text. This service is further enhanced by cooperation among Muslim Countries under COMSTECH. 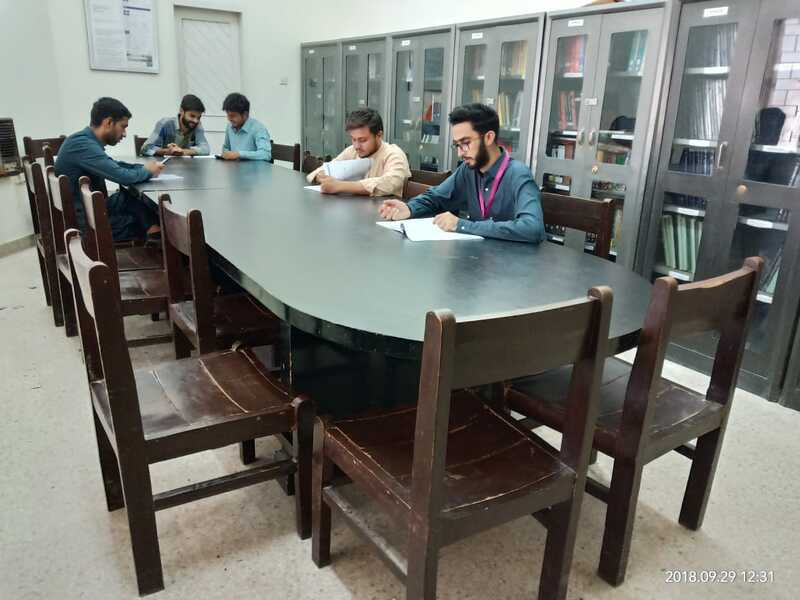 Also, the Seminar Library of the department maintains a close contact with the Central Library and on-line information center of MUET on a regular basis to update new arrivals of books and journals. At present there are more than 750 text books and thesis (Previous Bachelors and Masters Batches) available in the seminar library of the department.